George Armah is a senior research fellow and an associate professor in the Department of Electron Microscopy and Histopathology at the Noguchi Memorial Institute for Medical Research at the University of Ghana. He is head of the West African Regional Rotavirus Reference Laboratory, which provides technical support, resources and training for rotavirus surveillance in Africa. Professor Armah has spent nearly two decades working on rotavirus in Africa and is an active member of the African Rotavirus Network, which conducts hospital-based surveillance of rotavirus in children under five using standardized WHO protocol. His research focuses on enteric diseases and specifically, the epidemiology of rotavirus and norovirus in Africa and their genetic and antigenic characterizations. 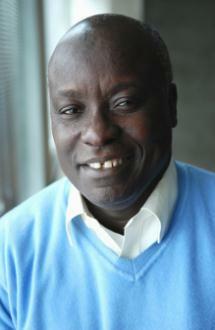 Professor Armah is also a senior clinical trials program lecturer at the University of Ghana School of Public Health. He has participated in several clinical trials including Merck’s RotaTeq rotavirus vaccine efficacy trial in Africa, where he served as one of the principal investigators. Professor Armah is a member of Vaccines for Africa, a group of African vaccinologists, scientists and public health advocates working to accelerate the introduction of lifesaving childhood vaccines within the region and to promote equity in access to these vaccines. Professor Armah obtained his PhD in biophysical chemistry and immunology from the Faculty of Pharmaceutical Sciences of Osaka University in Japan in 1990.